Religious Leaders In Cuba Outspoken And Critical Of Proposed Constitution Cubans vote this weekend on a new constitution that enshrines the Communist party as the "supreme guiding political force." Religious leaders are critical of new limits on pluralistic thought. Evangelicals pray during a church service in Havana, Cuba. Religious groups on the island have come out in opposition to a new constitution which will be voted on on Sunday. Catholic bishops in Cuba have been particularly outspoken, issuing a joint statement earlier this month that noted how the document "effectively excludes the exercise of pluralist thought regarding man and the social order." In an objection reminiscent of religious freedom debates in the United States and other countries, the Catholic bishops argue that "the free practice of religion is not merely the freedom to have religious beliefs but the freedom to live in conformity with one's faith and to express it publicly." The government reaction to the church criticism came swiftly. Mariela Castro, the daughter of party leader Raúl Castro and a leading member of the National Assembly in Cuba, shared a post on her Facebook page calling the church "the serpent of history." The government's campaign to promote a "yes" vote in the constitutional referendum has also encountered fierce opposition in the growing evangelical community. An early version of the constitution defined marriage simply as "the union of two persons," which conservative Christian leaders saw as an implicit endorsement of gay marriage. "We love the sinner, but there are some practices that are not in accord with our biblical principles," says the Rev. Moises de Prada, president of the Assembly of God denomination in Cuba. In their joint statement, the Catholic bishops made the same objection to the marriage article. "Given its importance for the future of the family, the society, and the education of new generations," the bishops said, "it's natural that this article was the one that most alarmed our population." The bishops said opposition to the marriage article was widely evident among Cubans as a whole. Our faith doesn't just free us from the eternal consequences of sin. It also makes us free here on earth, and that brings us into conflict with a totalitarian regime that restricts our freedoms. In what appeared to a recognition of the opposition to the marriage article, the committee drafting the new constitution removed the reference in the final draft. Communist party leaders, however, denied the move came in response to the criticism, and they promised to revive it as part of a new family law. This uproar over the proposed constitution marks another turning point in the Cuban government's ever-shifting attitude toward religion. In the early years of the revolution, the Catholic church in particular was subject to severe repression. Relations with the church improved in the period after the collapse of the Soviet bloc, when Cuban leaders were seeking alliances with western countries to make up for the loss of subsidies from former Communist allies. The Catholic church was revived, and evangelical Protestantism gained new ground. The new churches enjoyed relatively good relations with the government for a while, but in recent years tensions have been rising. "Evangelism for me doesn't live just within the four walls of the church," says Pastor Mario Felix Lleonart, who founded a Baptist church in the town of Taguayabón, in the province of Villa Clara. "Our faith doesn't just free us from the eternal consequences of sin. It also makes us free here on earth, and that brings us into conflict with a totalitarian regime that restricts our freedoms." After starting a Christian blog in his community, Lleonart faced harassment from local Communist party leaders. "They would tell me, 'Pastor, you could be better in your pastoral work if you stuck to teaching songs to your congregation and talking about the Bible and staying inside the church,'" Lleonart said. "They told me I was mixing with too many delinquents." After his children began suffering the consequences of his activism, Lleonart and his family sought political asylum in the United States. Some articles in the new Cuban constitution suggest a further hardening of government attitudes toward religion, according to an analysis by Christian Solidarity Worldwide (CSW), a religious freedom advocacy group based in the United Kingdom.The new constitution does guarantee religious freedom and freedom of conscience. Under the previous constitution, however, those provisions were tied together. In the new version, they are separated, and the freedoms are not defined as clearly as they were before. "At least the language was there [previously]," says Anna-Lee Stangel, CSW advocacy director for the Americas. "Now that seems to be taken away. I don't think it's necessarily going to change things hugely but I do think it's symbolic. And if the language is going backwards, even symbolically, that's significant." An especially big problem for religious and other opposition groups is that the guaranteed right to freedom of conscience is not actually guaranteed; it cannot be invoked to get around other constitutional provisions, like the ones officially establishing the Communist Party as the "supreme guiding power" and declaring the socialist system "irrevocable." Thus, there may be freedom in Cuba, but not if it is used to oppose Communist rule. In the weeks leading up to the constitutional referendum, Cuban religious leaders say they have come under intense pressure to urge their congregants to vote Yes. "If a pastor dares in church to raise some criticism of the constitution, he's branded a counter-revolutionary," says Rev. de Prada. 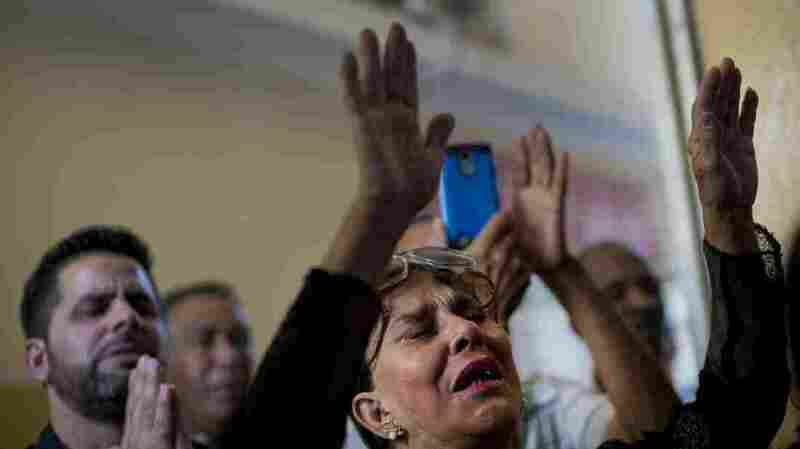 Given the government's tight control in Cuba, the new constitution is virtually certain to be approved in this weekend's referendum, but the deliberation over its provisions appears to have given energy to a new church-based opposition movement on the island.